An exciting mix of great music, diverse styles, and broad scope—the ultimate music resource for young people, kindergarten through eighth grade. Leader's/Catechist's Manual and Complete CD set NOW Available! 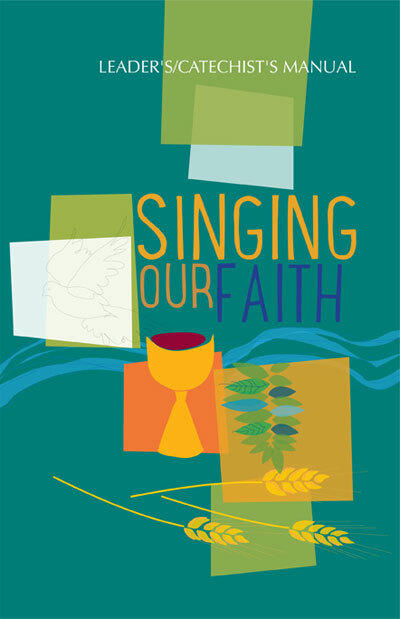 Singing Our Faith, Second Edition is a comprehensive program designed to aid all who prepare children for liturgy and liturgy for children. This unparalleled collection of resources includes a hymnal for young Catholics (student edition, keyboard/guitar accompaniment, cantor edition, and a C-instrument edition), a complete recording, and this Leader/Catechist Manual.